1.2 Does it significantly improve the picture quality when taking a photo? One of the easy solutions for green screen photography is having a green screen kit. 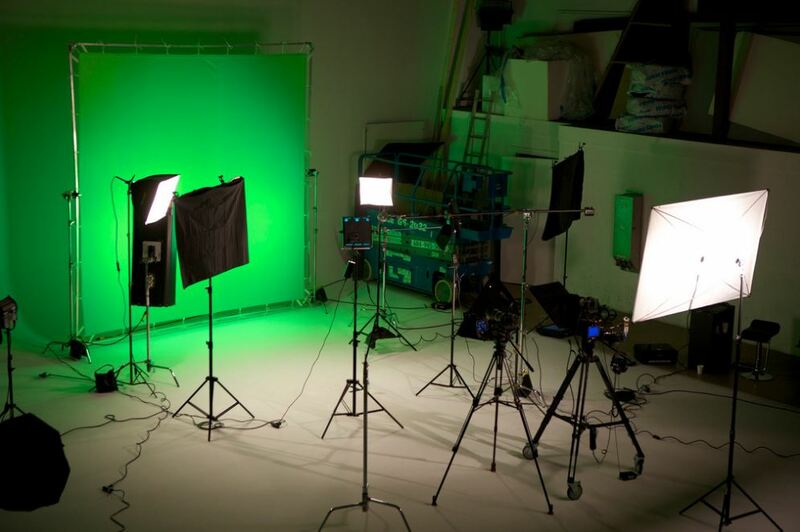 Green screen kits have lights, background stands, carry bags and more. The savage photo creator digital photography kit has 720 digital backgrounds that are for use with green screen photos. They are also Mac and PC compatible and has a wide selection of themed locales, which include 5 x 7’ backdrop. Depending on the preferences that you have, green screens are also available in a wide selection of other fabrics. There are canvas, muslin, polyester, cotton, vinyl, plastic and more. Each of the fabrics has its pros and cons. I am considering that you already have an actor, a green screen and a camera already in place for you to start your photography. The natural reason of someone’s instinct is mainly to set up the shot with the actor facing directly towards the camera. This is also with the green screen kit just directly behind the actor. Well, having this kind of set up may give a very fake look. What most people usually ignore is that every part of filmmaking matters in the whole process. Both when you are on green screen kit and when you are off green screen. When you are in a shoot which is on location, the artist storyboards or blocks out the camera positions. This enables them to get the right angles that will help them to tell the story. Well, this is also very true when using green screen shoots. When taking photographs with green screen kit, make sure that you take your time to storyboard your shot. Do this just as if there was no green screen. Make sure to choose the best angle especially during this time of storyboard or previsualization. This will help you to get a rough animation of what the scene is going to look like just before the shooting. You should not be afraid of having the low angle or the high angle. Then make sure that you chose the camera that will best tell the story. Just as you would do with any other shoot. You should also try and stay away from the talent directly that is facing the camera. Unless it is the best way that will tell the story. Does it significantly improve the picture quality when taking a photo? There are many tricks and adjustment layers and garbage matters that will compensate for uneven lighting. But it may become even easier to key in the footage if the background has even lighting, to begin with. The picture quality when using the green screen kit is far much better and has a lot less work. It is also much faster for one to fix on the day than correcting it in the post. It may become difficult to make it perfect if you are only using two lights or one. But it will ensure that you get the little variance in brightness and the color. The picture quality also improves. This is because you will have the opportunity to bring the subject as far forward from your background as far as the space and size of your green screen will allow you to go. This will be of great help in preventing color from the background reflecting back and also spilling on the subject. You will get wonderful results. And you can still fine tune or adjust the angle of the lights so that they do not overlap each other too much in the center. You do not want to have a hotspot of light; the lights should be well in position and use flags where necessary so that you have even lighting as possible. 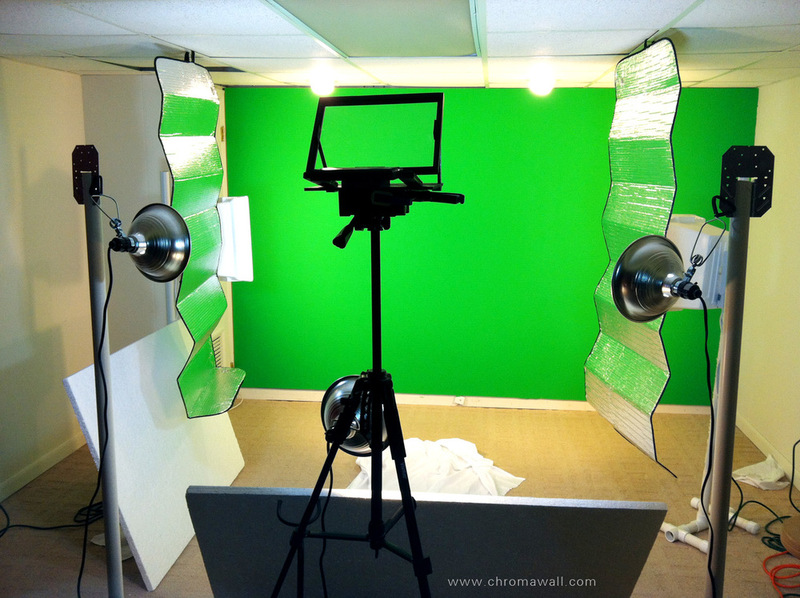 It may not be easy for you to establish a perfectly green screen. However, you can avoid the dark shadows whenever possible. Though you may realize that shadowing may be hard to avoid like when you are having a full body shot and having the subject stand on the green screen kit. There are no ways that you can avoid having the shadows. In this case, therefore, you should ensure that at least every area of the screen is receiving light by at least one light source. A way you can use to establish this simply is by using two flash strobes. Each at an angle to the person. One of them should be to the right, and the other should be to the left. They are on the green screen kit that is shadowed by one light is illuminated by the other light. You may also realize that some screen areas are having lighting from two lights while the other areas are lit by one light, there still will be some shadowing. This should, however, be good enough to help you get a good extraction. When you are using a green screen portrait photography, we would not recommend you to light the green screen kit separately and also using backlighting on the model. This may not be necessary and may give results that are not bad. Having backlighting is something common when using video green screen, and it can play a good part in extractions. It may also add unnatural lighting effects to other hair. You may also realize that fine hair details are not there. When you are doing video, this is not a big deal. Though if you are doing portrait headshot still image it may not be the best choice to use backlighting and keep more hair detail intact. The simple lighting setup that you can use is a two strobe system. The system works pretty well with green screen photography. The strode should be a minimum of 150 W/sec. You should never use a backlight when shooting green screen still photos. You may be having the 10 x 24 muslin fabric which is so huge to be put in your conventional washing machine. Handwashing it will be very tough and also boring. If you have a backdrop that is not attaching to a collapsible frame, the cleaning options you will have are spot cleaning and making sure that you don’t scrub so that you don’t change the color in that spot. If you take it to the laundrymat, ensure that after the dryer stops you roll it up. The heat of the drier will remove many of the wrinkles out and folding it will put new ones. You should also ensure that you use a detergent that is mild like Woolite and wash the backdrop in cold water. If by chance you sent it to the cleaners, you should stipulate that it must be rolled up and not folded. You can make your guests feel like they are movie stars by putting them into the action by using the green screen kit. The digital backdrops can transport your guests to anywhere or could be a way to save time and money instead of just printing the physical backdrops. Green screen is a simple booth that just works excellently. The green background is removable and then replace with the digital backdrop without having any settings to hassle with. It allows one to easily photoshop and replaces the green with other images that are more acceptable on the background. It enables the guests to have to choose between multiple backgrounds and see their choice behind them in the real time as they also take their photo for creative and hilarious outcomes. The green screen works perfectly with HALO in all kinds of lighting environments and does not need any additional lighting equipment. They are made of good quality material that is so easy to set up in just a few seconds. You just open the case they are in, pull up the screen and let the x frame lock your green screen kit automatically for you to use. When you are through, you simply retract the screen back into the retract screen into the built-in hard aluminum case. Green screen assures there is a wrinkle resistant, chroma green surface for taking photographs. Some have a design that is wrinkle resistant and have optimization for camera chroma keying. They are also easy for one to remove the background after the post-production in photoshop and also to change the different shooting scenes freely. Green screen kit can be for wide applications if you have them. They can also be as a special effect that is widely for use in photo studios or in making YouTube videos, making documentaries, having interviews, having live games and music videos. Their pull up design also makes them be set up much easier in a few seconds without many struggles. This is by just simply lifting the handle and letting the pneumatic x frame automatically lock the screen in place. They are also good for quick retract when you want to store them. When you are through with them, just retract the screen into the aluminum case that is built in to enable compact storage. They can even fold up to become small enough to be put underneath the bed, closet or the couch. The clothing in use to make them is also very high-end background cloth, the material used and the feel. There are large and small sizes that one can choose from depending on the features that they are looking for. The big ones may take more time to unpack compare to the much smaller ones, but the work they offer is quite similar. There are several designs and tips that you can get out there. There is something you should consider having. One may think that lighting their green screen kit would just be similar to working with something like a white seamless backdrop. However, you will notice that there are a few differences. Unlike when you are using a white seamless, green screens are not blown out beyond the dynamic range of the camera. They also reflect some light on the subject. But usually, you will usually shoot on a green background for other different reasons other than just white. 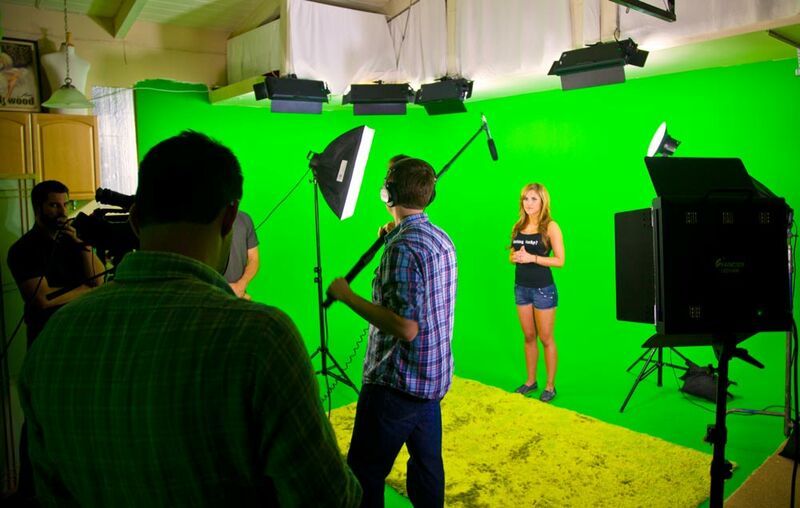 The process of lighting a green screen is fairly simple from a technical point of view, yet many DPs that don’t have much experience with chroma key work may be prone to making so many unfortunate mistakes at the onset. This is different when you compare to the traditional film lighting and shadows. There is more to lighting a green screen, it about evenness and consistency. While in many cases, what you may only need to have is two lights for using in like an interview setting. The basic principles that one learns in setting it up can have wide application to even a wider and larger green screen setup. Though by so doing you may need just to add some more lights. One of the key things that you should remember when you are setting up and lighting your green screen is to make sure that any area of the backdrop which appears in the frame is lit and perfectly even. The area should also be well in expose. If you find that the backdrop is properly lit on one of the sides and underexposed on the other side, then the compositor or the editor will go through a tough time for them to pull a very clean key.